Children at this stage of their life are beginning to understand their surroundings, and are establishing relationships with everything. They’re teeming with curiosity and questions. Now is the ideal time to introduce them to the kitchen – from an early age, they’ll develop an affinity for food, and better understand where it comes from. 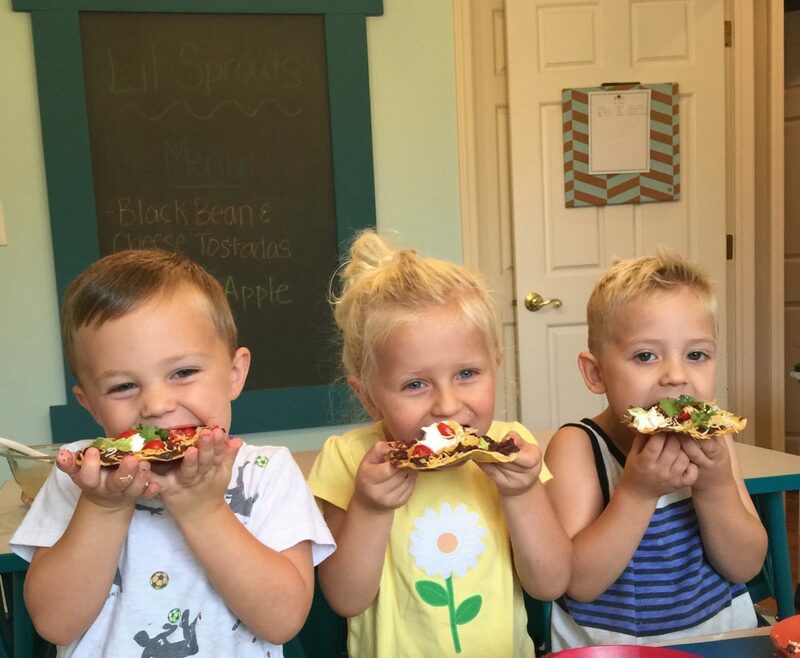 If you would like to register more than one child, and they are in different age categories, please select the YOUNGER age group unless otherwise approved by Sprouts Cooking School. Please note, if you need to change to a different class for any reason, you will be charged a $15 change order fee per student registered. If you have registered more than one child on the same ticket you will only receive (1) confirmation email. A “Family Dinner” will take place on the final day of each Semester Class. This is a special time for 1-2 guests to come to the store and sample some of the food their student has been learning to make in class. Students will receive recipe packets at the end of class. So for semester classes, that is on the LAST day of class. Students will eat the food they prepare each day. Please bring a LABELED water bottle to class each day.